After an easy development of trading robots for MetaTrader 4, you may be unpleasantly surprised about the challenges one will face with developing bots for the stock market in Russia. 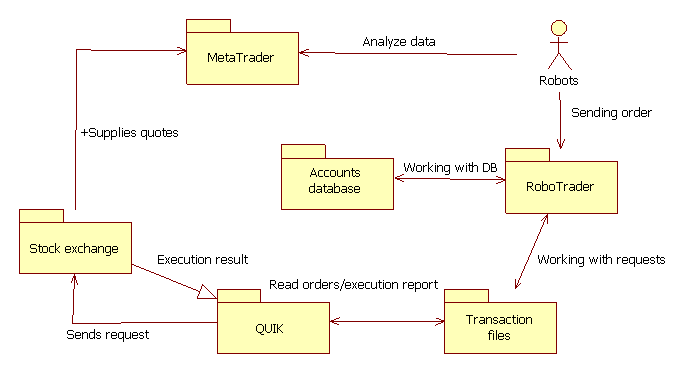 QUIK is one of the most popular programs among Russian brokers. The program has a built-in programming language QPILE, which allows making simple scripts, but doesn't have enough capacity to develop full-fledged trading robots, let alone provide testing facilities. Therefore, we have to find an alternative way.